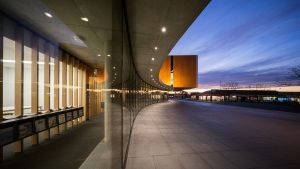 On the 2nd of November, the Australian Institute of Architects announced the Winners of the National Architecture Awards 2017. Two projects from Francis-Jones Morehen Thorp have been awarded the AIA National Architecture Awards. ‘The jury gave preference to projects demonstrating the contribution architecture can make to the public good; projects that were inventive in their responses to context, site and program; and those that celebrated an understanding of materials and making,’ Maher said. 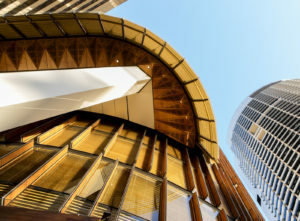 The EY Centre has been awarded the 2017 Harry Seidler Award for the most outstanding work of commercial architecture in Australia. Frank Bartlett Library and Moe Service Centre has been awarded the 2017 The Walter Burley Griffin Award for Urban Design. To learn more about the National Architecture Awards program, click here. To see the list of Winners 2017 click here.